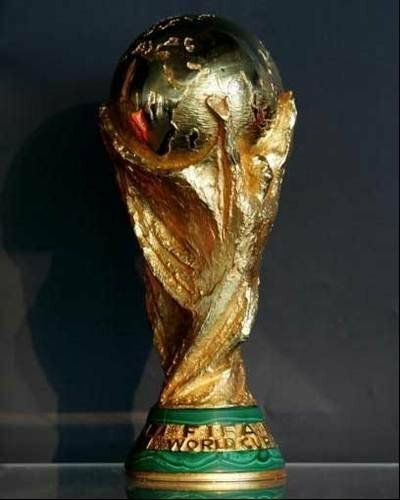 Which nation won the first FIFA World Cup TM? Take part in Computer Weekly's competition to win tickets to this year's 2010 FIFA World CupTM finals in South Africa. Please note - you need to answer all 11 questions. Mahindra Satyam has teamed up with Computer Weekly to give away 2010 FIFA World CupTM match tickets, including two tickets for the 2010 FIFA World CupTM final itself. To win 2010 FIFA World CupTM tickets simply answer all 10 questions related to the 10 pictures above and supply a witty and amusing caption for the 11th picture. Please email you answers to competition@computerweekly.com ensuring that each answer is numbered and corresponds to the correct picture. Please note - you need to answer all 11 questions. Those that get all 10 questions correct will enter a tie-break, in which the best picture captions will be drawn out of a hat for the prize draw. The closing date is Tuesday 4 May 2010. The prizes do not include travel and accommodation, just match tickets. doing nothing, and the balloon is scarcely rising a fathom.